Our moving checklist will help you plan your move with less stress by paying attention to the details of the move. 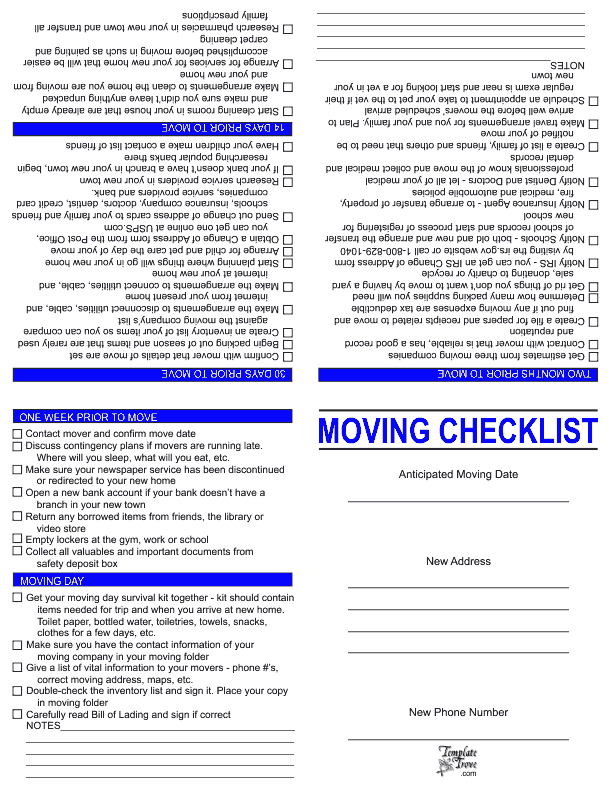 This checklist prints one side on standard 8 1/2" x 11" letter size paper. 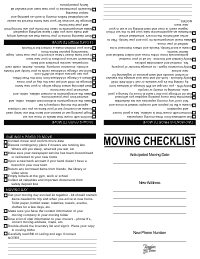 Printed sheet then folds to form a 4 page booklet style list that will easily fit in your purse or pocket. Folded size is 4 1/4" x 5 1/2". Available in PDF format with five colors to choose from.